I have a lot of respect for the pinot noir grape and for the winemaker who can turn these delicate grapes into a sensational, elegant wine. 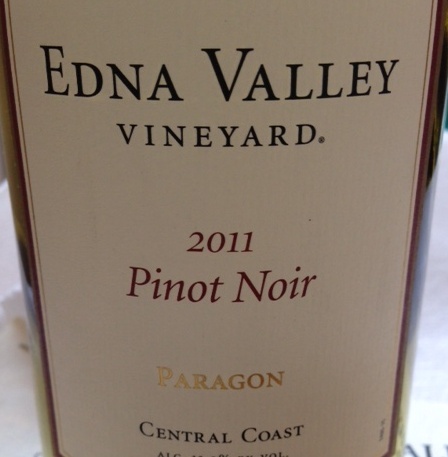 Edna Valley Vineyard’s 2011 Central Coast Pinot Noir ($20) proves my loyalty. From the opening of the bottle, a first pour brings forth aromatic delights of rose petals and earthy minerality. The smidgen of zinfandel added gives this wine a bit of a spice, adding complexity. Edna Valley Vineyard grapes hail from the Central Coast of California, five miles from the Pacific Ocean in one of the coolest and longest growing seasons in the state. When I served this wine with chicken dinner, I realized it would pair well with almost any entree. A nice white selection from Edna Valley Vineyard is the 2012 Sauvignon Blanc ($15) made with grapes from the Central Coast of California as well, but in Monterey and San Luis Obispo counties. Like a traditional sauvignon blanc, this wine offers notes of melons, a strong minerality and sweet fruit. It’s full-bodied and has a long finish. Oh, and this is a screw-cap wine, easy to take on the go to serve with brie and bread, chips or any hors d’ouevres.